A targeted Facebook Marketing strategy can increase your reach and views per post by 5 times, 10 times and even 20 times compared to your organic reach. Facebook Marketing to drive interest in your business 4 years ago was an entirely different direct marketing model than it is today. 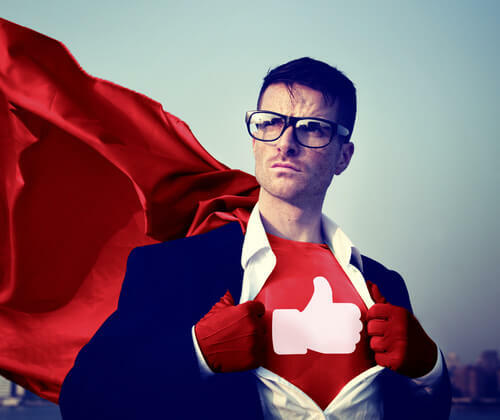 Facebook has transformed the ability for businesses to promote their products and services to exactly the audience that will result in the highest engagement and have the greatest chance of converting into clients. Why do I have to pay Facebook? Can’t I just post it on my company page and forget it? Posting a blog post, video or image to promote your business without paying to promote it will limit the reach to the current people that have liked your page and the hashtag search audience. Don’t worry though, for as little as $20/post you can increase your post reach by up to 10X. FACEBOOK’s 20-PERCENT TEXT RULE ON AD IMAGES: Your image cannot contain more than 20% of text or the boost will be declined. We learned that here. It can stay published but the boost will change to ‘Not Boosted’ and you will be sad:( If your image contains text, use this Facebook Grid Tool before you try to boost the post to see if your text is less than 20% of the image. Step 2: Click the ‘Boost Post’ icon under you post. The Boost Page will appear and provide you 3 radio buttons. Button 1 will boost your post to people that have liked your page. If you don’t have many likes, this won’t due you much good. Button 2 will boost your post to the people that have liked this page AND their friends. You have to determine if their friends are a valuable audience for your post to choose this option. Button 3 and the most extensive way you control your audience, customized targeting. Step 3: Assuming you choose the 3rd button and want to customize your campaign, click ‘Create a New Audience’ and this is where the strategy starts. Location – Choose your location target by Countries, States of mile radius from Cities. Interests: Start typing interests of the people that you feel will engage with your post. Do you want people interested in sports, running and marathons or law firms, attorneys and personal injury? As soon as you’ve chosen a few interests, Facebook starts to serve up similar interests to make the selection process much easier. Total Budget – click the drop-down and it will list a number of different total budget options. BUT, to the right of each option in provides the ‘Estimated Reach 780-2,100’ as an example. This reach is based on your previous selections so you can really decide on exactly how many more people you want to reach and how much it’s going to cost. Duration – 1 day, 7 days, 14 days or a custom range so your total budget will be divided out by the number of days that you choose. Boost it and watch your post take off. Step 4: Pay the Piper and Boost this bad boy. It will start to boost very quickly but will still run through an editorial step before it is fully approved. Now it’s time to track the results and test future posts by adjusting your audience and boost settings to get the most out of your Facebook Marketing and content strategy. This entry was posted in Social Media Marketing and tagged digital marketing, Facebook marketing, social marketing.